Robyn grew up in Northern Victoria in the little rural town of Robinvale. 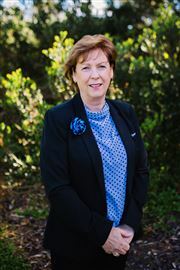 She began her working career as a Nurse, training at Mildura Base Hospital. After 14 years in this field she ‘fell into’ real estate when she was offered the job to ‘sort out’ a local Real Estate office that had just two sales people and an office that looked like a bachelor pad. She loved the challenge and her real estate career was born. Since 2000 she has held many varied roles including being P.A to the chairman of the First National Real Estate Group for two years. In 2010 Robyn moved to Penguin for a sea change and it was the Harcourts philosophy of 'People First', 'Fun & Laughter', 'Doing the Right Thing' & 'Being Courageous', that attracted Robyn to the company. Robyn has had a diverse career path, working in most parts of the real estate industry, they say that if you do something you love, then you’ll never work another day in your life. Well that’s not exactly true, you’ll still have to work, but it feels different. Robyn love’s being able to help people achieve their dreams whether that be our team or our clients, makes it feels like family and because it feels like family you care. And because you care, you appreciate it in a way that’s different than almost any other job you could possibly have, which is even more reason to fall in love with it. 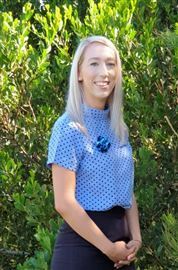 Robyn is proud of her team’s professionalism and integrity and is excited about growing the Harcourts Brand in our community. Having worked for myself for over 35 years, mostly in business’s that have relied heavily on marketing, I know what is required to achieve the best results and outcomes for my clients. 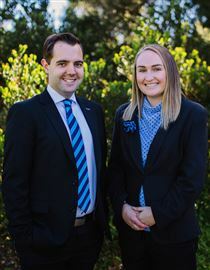 With my wife Jodi and myself recently joining the Harcourts Ulverstone and Penguin family, we feel we have become part of the best agency in our region and I look forward to adding many more years of service to the 7 years I have given to our local area. Being a born and bred local Penguin girl I love our region and the people that live here. Helping people not only sell their homes but to achieve great prices and outcomes is what gives me enormous pride and joy in my real estate career. I have been fortunate during my time in real estate to be trained by and work with some of the very best coaches and negotiators in the business, both locally and interstate. 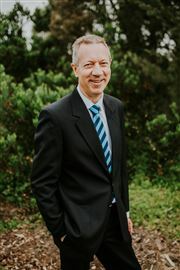 I am also very fortunate to have become part of the Harcourts Ulverstone and Penguin family, a fabulous bunch of people who, put simply, care. 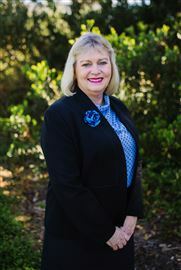 Being a local, as she was born and bred here, Wendy is very familiar with most parts of our lovely coastal town having lived in each of the areas, central, East & West Ulverstone throughout her life. Wendy enjoys meeting new people, while extolling the virtues of living in the Central Coast region. Wendy has travelled throughout Australia, New Zealand, Asia and parts of Europe but is always proud to call this strip of paradise home. She worked for many years in the manufacturing sector before deciding on a career change in 2012. Since moving into Real Estate Wendy´s passion for the industry has intensified and this has helped her achieve the "Rising Star Award" from Harcourts Tasmania for her efforts in her first year and has received 3 "Bronze Certificates" for sales and has reached her “Ruby Pin" for sales in excess of $10 million. The whole sales process is made easy for Wendy’s clients because of her excellent customer service skills and positive outlook. Please call Wendy to discuss all your real estate needs and be assured that she will work tirelessly to ensure that everyone has an enjoyable real estate experience. Finally! We found the perfect pair for our Property Management Team. 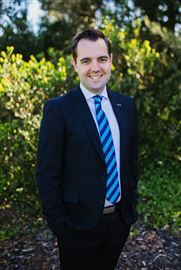 William started in the Real Estate industry in 2008, joining the Harcourts team in 2018 and ready to take on the North West Coast! William’s hard work and dedication to his clients is what makes him stand out as a Property Manager and we are glad he has chosen to be part of our team. William looks after a portfolio of 200+ properties with Kate Chisholm assisting him to maintain quality service that everyone thrives for in a Property Management Team. 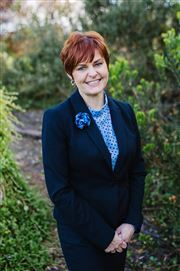 Kate commenced her Real Estate journey in 2011 in Port Hedland (Pilbara region of Western Australia) as a receptionist and then quickly progressed into Property Management, managing a portfolio of 200+ properties. In 2012 and 2013 her Property Management team successfully received two company state awards for net growth of 100+ properties. Kate then embarked on a new journey as Special Development Manager at a different agency to broaden her real estate skills and challenge herself. In this role Kate liaised with developers and builders from project completion through to leasing of small and large apartment complexes – one in particular included 77 apartments. 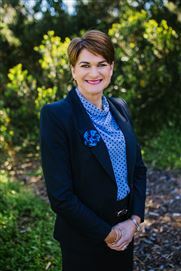 When Kate became a mum, she enjoyed several roles within the agency including, business development, advertising, strata management, commercial property management and sales administration. 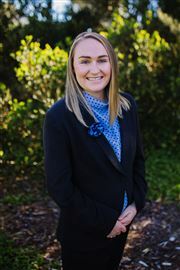 After having two children, Kate and her husband made the move back home to Tasmania where she secured a role with Harcourts in July 2018 assisting William Faulkner with the day to day management of the portfolio. We welcome William and Kate’s well rounded real estate background to the agency. 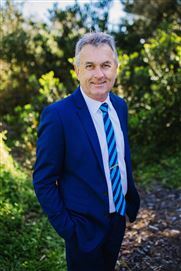 William started in the Real Estate industry in 2008, joining the Harcourts team in 2018 and ready to take on the North West Coast! William’s hard work and dedication to his clients is what makes him stand out as a Property Manager and we are glad he has chosen to be part of our Team. William looks after a portfolio of 200+ properties with Kate Chisholm assisting him to maintain quality service that everyone thrives for in a Property Management Team. Right in the heart of town! Open plan living at its best! Neat Unit in quiet cul-de-sac! Fenced block, ready to build! Large Home with Sheds Galore! All new, nothing to do!